Holy Goddess Cher, it’s been a while, and I apologize! I’ve been home from Georgia for a few days now and just never found my way back to post. What has kept me so busy? 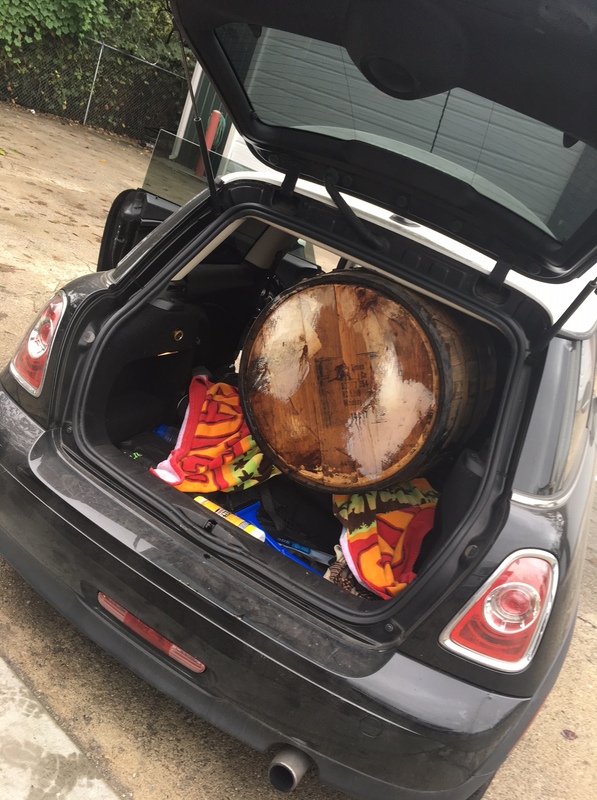 Well, on Monday I picked up my very own used bourbon barrel, which actually fit inside my Mini Cooper to everyone’s surprise, including my own. Who knew? Maybe they should put that in a commercial. Anyway, I spent the day scrubbing it, polishing it and screwing in the bands (because I was told they’ll fall off over time). This weekend, I plan on spraying on a shiny coat and then rolling it into my basement with the help of friends and family I haven’t asked yet. I plan on making a table out of it by putting some glass on top and getting stools to sit around it. I really did feel like hugging it at one point, but I think my neighbors were watching. I’ll show you the final picture when all is said and done.